A long read, but it explains why we hear "SMIDSY" as an excuse so often, and what we,as riders, can help ourselves to be seen. I use it quite often especially in city. Even in country on a back road where a farmer not expect me. Actually got stopped by a cop for doing the smidsy. I explained and he googled and we were good to go. It works. It's why I give extra looks to those vehicles with the handicapped card hanging from the rear view mirror, it's amazing how much is blocked by the card. This is a good article, but some things are incomplete. The Human brain is a kinetic creature. We are hardwired to analyze and comprehend movement, especially fast actions. It allows us to anticipate actions and make corrections to our own bodies when moving. This applies to us from walking, chasing something, working to elude something chasing us, to actions such as shooting a moving target with a bow, a spear, or gun. As an animator I studied human perceptions and our systems of perception with regards to movement. The writer's description of the of fovea sections of our retina is correct, but he forgot to add that the cones receptor cells that make the vast area of our retina are not sensitive to detail, but to motion, and when it is detect it triggers a reaction that shoots the eyes toward the stimuli in our peripheral. This protects us from being surprised by a stalking cat, or a big brother trying to surprise and scare you. The descriptions of the saccadic actions that describe how our eye functions was also incomplete. Our eyes/brains have two movement perception systems - Saccadic and Following. The latter is how our eyes/head will move to 'follow', or locate what we want to look at. It is smooth and allows us to see things in a less jarring way. Saccadic is when just our eyes will jerk to look at something acutely in a searching action, like trying to find a word on a page, or a name on a map. I believe the name is French, which means 'flick of the sail'. As we're riding, or driving our eyes are more likely Following. The Saccadic actions would apply if we were at a stop sign, heard an alarming sound, and jerked our heads around to 'search' for the source. It tends to be more of an emergency response than a normal one. These action are also taking place in mere fractions of a second. As an animator we look at things in terms of frames per second. In traditional animation there are 24 frames in one second. It takes the average Human 16-18 frames to recognize what they are looking at, or 4/6- 3/4 of a second. That's pretty fast. We have the ability to recognize things quickly. Where we may lag behind is in our reaction time. Many times it is distance and a lack of a large stimuli in regards to a rider's silhouette that may cause a lack of a response from a driver. This may cause the driver to not 'consciously' see a rider when looking down the road, or if they do, because of the small size, not anticipate how fast they are actually going. Blindspots by doorpillars is a HUGE contributing factor that is not addressed enough with regards to a driver's training. A friend of mine almost hit me and my wife about a month ago as he was making a left had turn in his mini-van. Later he told me that the windshield/driver side doorpillar completely blocked his view until he pulled out in front of us. My tactic is to cover my horn in any situation where there is a driver/vehicle at an intersection or road waiting to come into my lane, or for any vehicle coming in the opposite direction. In those cases I try to anticipate where we'll pass, and if it's at a cross street, driveway, or entrance to a parking lot a cover my horn and ready to make evasive maneuvers, or an emergency stop. See and be Seen has saved me on numerous times from potential crashes. A lot of what he says fall short down here in the land of the scooter. We're seen because we're EVERYWHERE and, as far as new drivers are concerned, we've always been everywhere. But, I see what's going on in the US where bikes have to "stay in line" and can't use all that extra space to lane split and/or filter to the front of the light. Then, there's the general lack of population... there just aren't that many riders per capita as there are over here. Then, there's the matter of the campus crawlers. The 50cc models that may just get up to 35mph and are really, really small. Drivers KNOW these things aren't fast so neither are the slightly larger versions. As far back as '64 I was forced off the road because "I didn't know they could go that fast!". Even the ubiquitous HDs, when seen around town, are cruising at 35 to 40 just like the little guys. Great article (even with a few claimed shortcomings). The phrase that jumped out at me was, "The faster you move your head, the larger the jumps and the shorter the pauses. Therefore, you’ve got more of a chance of missing a vehicle." The lady who pulled out of a driveway in front of me and caused my accident did not come to a complete stop (I know this because the video I had). Upon reading the above it occurred to me that because her "road check" was even faster than it might have been had she actually stopped, it's all the more likely that, as she claimed, she didn't see me. I read an article years ago where the author surmised that people don't see us as threats. To prove his case, he took two identical Harley baggers and painted them as opposites. One was black and one was white with a Star of David on the tank which looks very similar to most law enforcement stars. He then rode the black bike with normal riding gear and then the white bike with clothing that resembled the CHP. He said the difference in distances the drivers allowed the 2 bikes was astonishing. His theory was people saw the "police bike" as a threat, but the black bike was not. I wish I still had the article. Certainly believable ... pretty much the same for marked police cars as opposed to unmarked cars. Each time I get on my bike to ride I start with the thought, someone out there wants to kill me today. 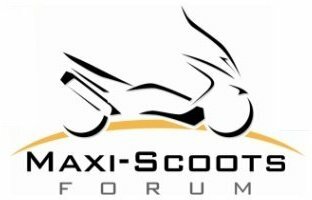 I've become an enormously better driver sine I started riding scoots 12 years ago. I'm more cautious, defensive and I look both ways several times before execution. Back in the beginning the automotive industry decided on two headlights and a grill to present a "face" to on coming traffic. My Honda, Bridgestone, Mz, Kawasaki, Lambreta, and SYM all had single lights but withing the last decade, or more, I've noticed that almost all TWVs have been given eyes and, in some cases even eyebrows and a frown. Angle eyes, too, have become prevalent on most models. 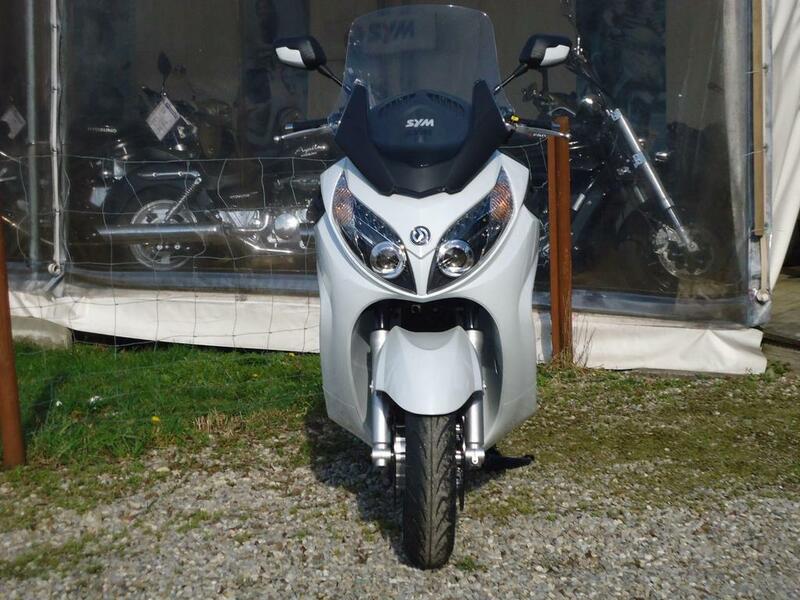 The SYM 600 is a good example of what I'm talking about. When she's under power the angle eyes create the eyebrows.